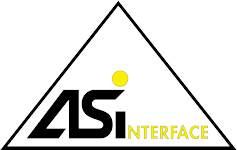 AS-Interface (Actuator Sensor Interface, ASi) is an industrial networking protocol used in PLC, DCS and PC-based automation systems. It is designed for connecting simple field I/O devices (e.g. binary ON/OFF devices such as actuators, sensors, rotary encoders, analog inputs and outputs, push buttons, and valve position sensors) in discrete manufacturing and process applications using a single 2-conductor cable. ASi is an open technology supported by leading automation vendors. Over 14 Million ASi field devices are installed globally. The ASi specification is managed by AS-International, a member funded organization located in Germany. Several international daughter organizations exist around the world.